Adding items to your basket couldn't be more easy! 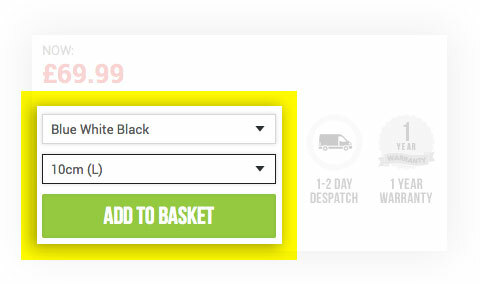 Simply choose you size and/or colour and select the "Add to Basket" button when it turns green! 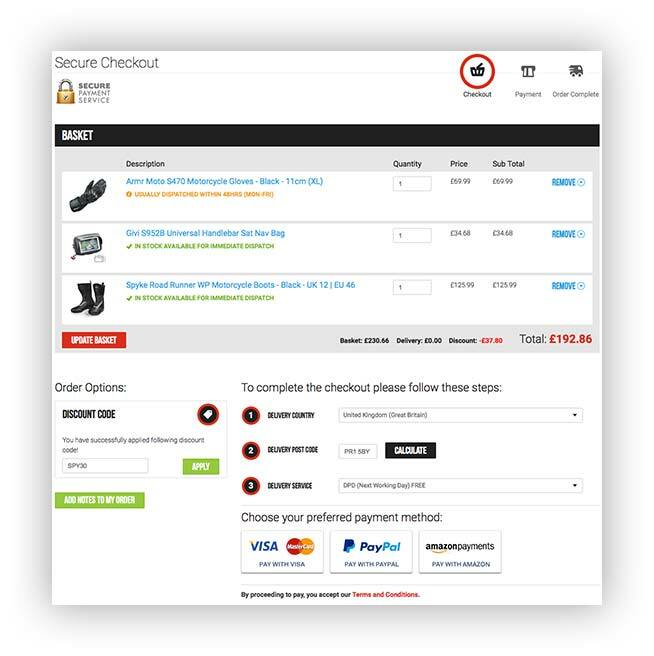 To see what is in your basket, you can hover your cursor over the red "checkout" button in the top right hand corner of our website. This will show you a list of the items you have in your basket and your current price total. 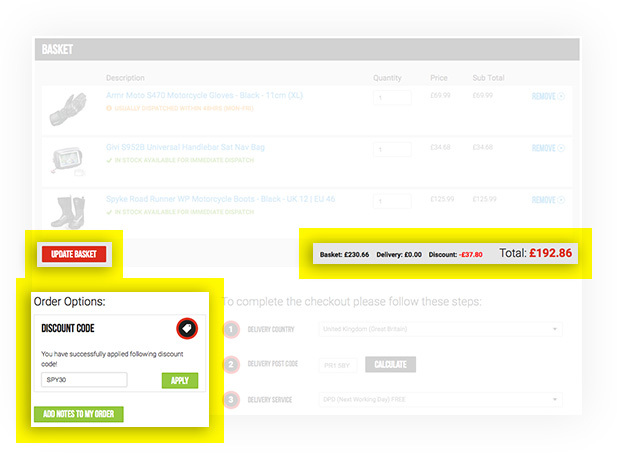 Once you are ready to check out and pay for your order, your basket page will look something like this! If you no longer wish to buy an item, but still have it in your basket, just click the "Remove" button in blue next to the product then update your basket with the red button below! If you have 2 or more items in your basket, you may notice that some have different coloured shipping status's. Don't panic! All your items will be sent together in one parcel, with one total shipping cost. The item with the longest delivery dispatch time will determine when your item will be dispatched, for example if it says "Within 48 hours" for instance, your items will be dispatched from us within this time. However, if there is part of your order you need faster and it is available to a faster dispatch date then please leave a note in the “Add A Note to My Order” section of the checkout page, or get in touch via our contact page here. This item is in stock at our main distribution warehouse and shop and will be dispatched to you the same working day (if ordered before our cut off times) and can also be picked up from our shop. (If you are traveling far to visit us please call us to reserve the stock for you as we sell on multiple channels and stock may be sold before you arrive. This item is stored in an external warehouse and dispatched to you within 48 hours of purchase, between Monday to Friday. This item is currently not available in our shop but we can arrange for you to pick it up within the same time frame. This item is stored in an external warehouse and dispatched to you within 3-4 days of purchase, between Monday to Friday. This item is currently not available in our shop but we can arrange for you to pick it up within the same time frame. This item is stored at an external warehouse or is a custom build order which is made specially for you. This item will be dispatched to you within 10 days of purchase, between Monday to Friday. This item is currently out of stock. Please get in touch for more info on whether this item will be coming back into stock soon. This item has been discontinued and will not be coming back into stock. 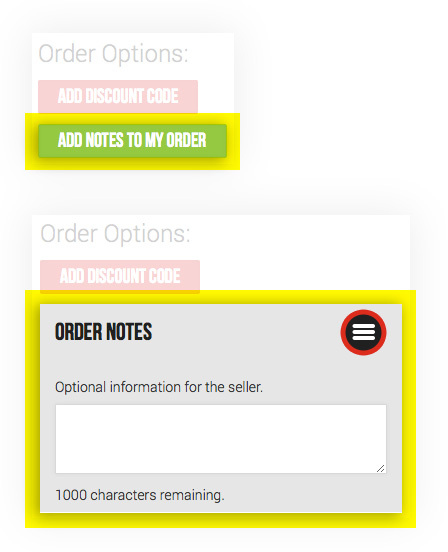 If you have a discount code, you can now add it onto your order here by typing your code into the box provided, please note the codes are case sensitive! Then, click the "Update Basket" button in red on the left hand side. 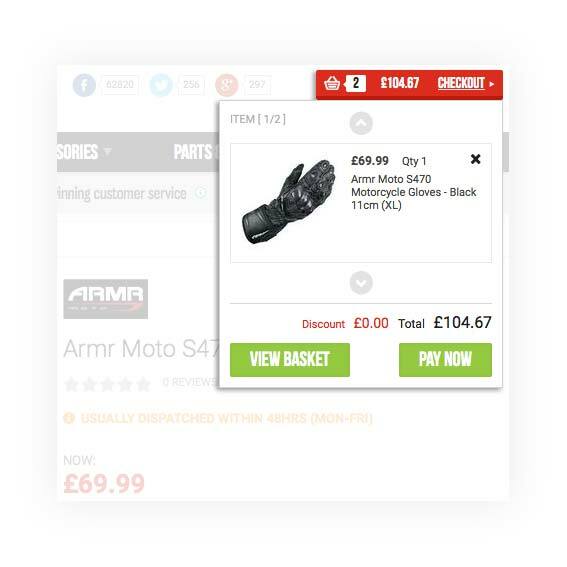 This will then update you basket total and show the amount of discount you have saved on your order! If your discount code was unsuccessful, this may because you have miss-typed the code, not applied case sensitive lettering or the code may have expired and is no longer available for use. You may wish to add a note to your order, you can do this by selecting the green "Add Notes To My Order" button, found under the discount code button on the left hand side of your basket checkout. In here you might want to state if you would like your items to be sent out separately due to different product statuses, tell us of any other shipping address details we may need to know about, or request discreet packaging for your parcel as some items are obvious when they come! Once you are ready to check out, you will need to select your country, tell us your postcode and select the delivery service you would prefer. After clicking calculate your shipping price will be added to your order.